I love hard boiled eggs! Thank you so much for this easy to follow recipe! 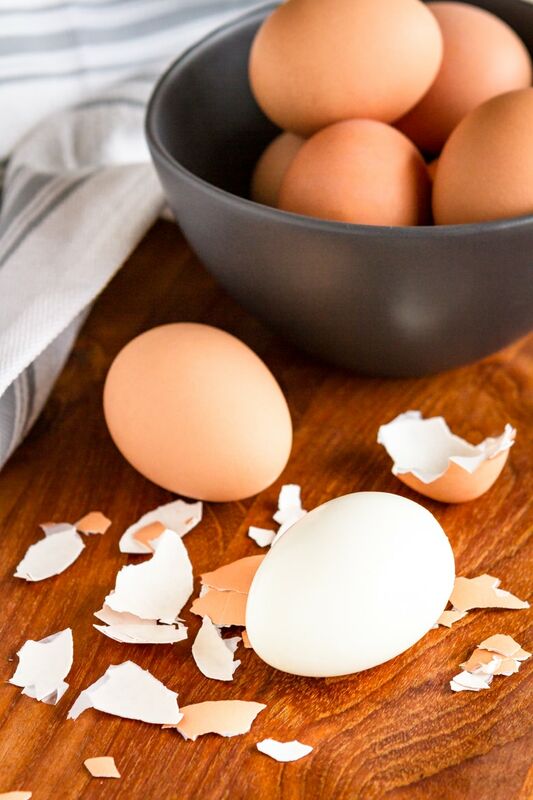 This is the best method for making boiled eggs I’ve ever tried. They are so easy to peel! I have been making my eggs in my InstaPot for a year now. I will never go back to a stovetop or oven method. They literally slide out of the shell! 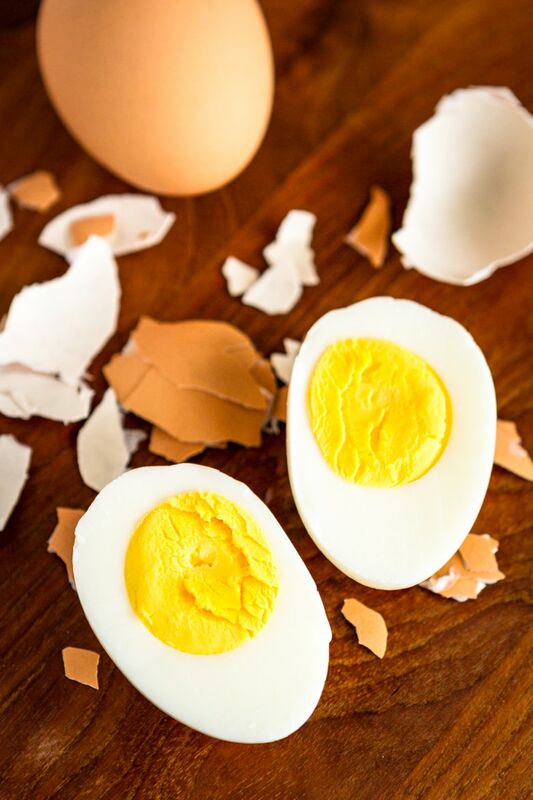 I make hard-boiled eggs almost weekly and love the 6 minute egg in the center. 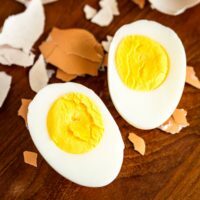 I have yet to jump on the instant pot bandwagon, but perfect boiled eggs might just convince me! I love making hard-boiled eggs in the Instant Pot but mine never come out this perfect. I need to try this recipe! These eggs look perfect!! 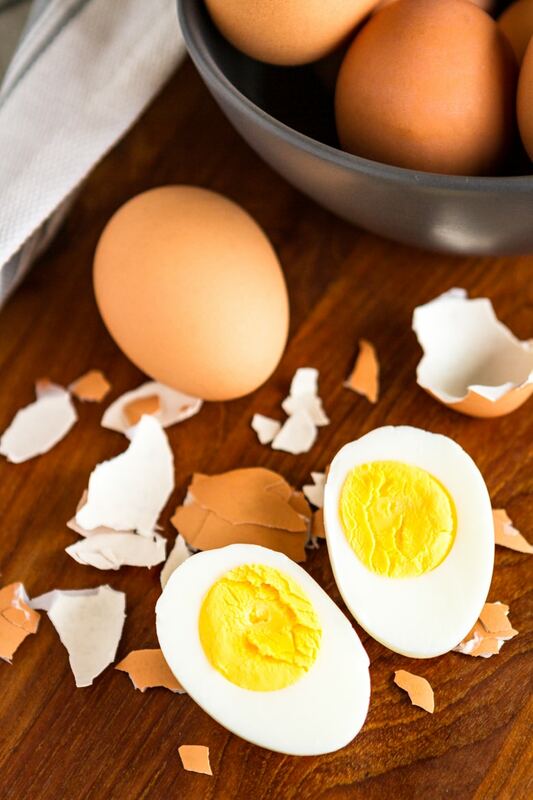 I love any tips & tricks to make the perfect hard boiled eggs! You had me at easy to peel. 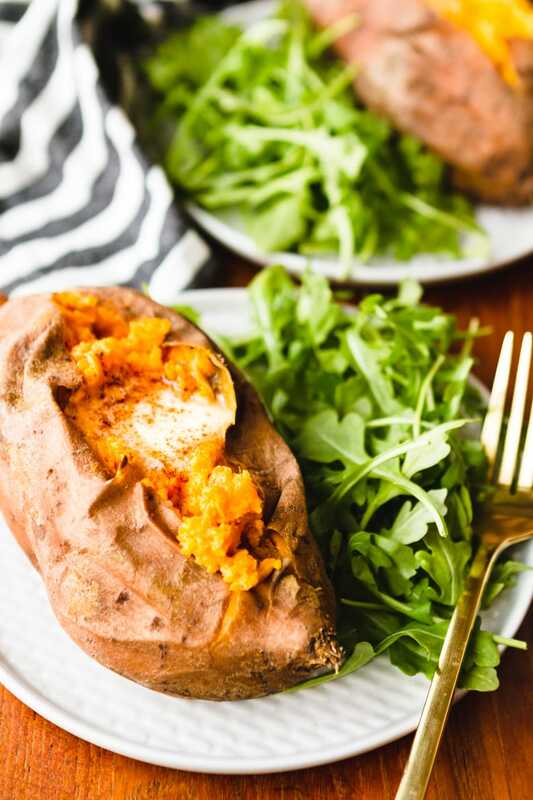 I also have been on the fence about if I really need an instant pot or not but I keep seeing so many great recipes that would make life so much easier this being one of them. I need to just buy the thing already! I recently got an Instant Pot and haven’t tried eggs yet – looking forward to using your recipe! 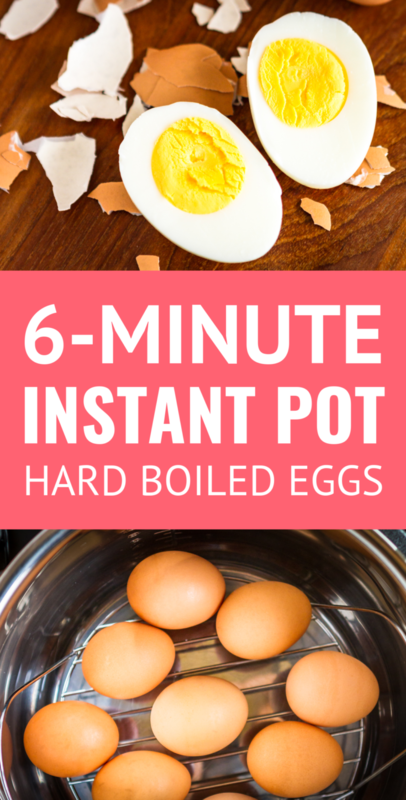 I love making eggs in my Instant Pot – I love your settings. Thanks for all the tips. Oh my goodness!!! Yes, it’s definitely a quick turn and pull your hand away technique with the towels. Tongs or a wooden spoon are a my preferred utensils, so I will update the instructions to make that clear. I’m SO glad your eggs turned out well, at least! Great tip! I used to try to have some on hand for quick high-protein snacks, but mine were so hard to peel! Excited to try this! You SO just made my day, Joy! Thanks for your kind words, and I totally laughed out loud at the weird guy comment. They turned out perfectly and so yummy! Not hot or cold right out of the ice bath. Annnnnd, soooo easy to peel! Perfect test run for my new Instant Pot Duo 60 thanks so much! Congrats on your new Instant Pot! So happy to hear your eggs turned on perfectly — I can’t imagine making them any other way at this point. Did it twice with farm fresh eggs and both times they eggs weren’t cooked at all. I’ve never had that happen with the IP. Went back to store bought eggs to try those! Yeah, farm fresh eggs are a tricky beast. Wish I had some tips for them, but farmer’s markets haven’t started up here in Ohio yet. Thanks for this! :) I have one of those double-decker egg racks for the IP. Do you know if the timing will change if I add the second rack, which increases the number of eggs to 12 to 14? Just wondering if more eggs would need more time. Hi Stephanie! I don’t think it should change the timing. I’ve thrown a few extras in before and haven’t needed to adjust anything. Enjoy! This would be a great time saver.Thanks so much! Eggs were perfect! Thanks for the tips. So glad it worked well for you, Minda! I just made a big batch yesterday, as well. Hi. Just tried it and it works perfectly! Those shells practically peeled themselves Thank you !!! One question, can you stack the eggs into 2 layers? Will it affect how the eggs will cook and peel? Hi Sue! I’ve never stacked more than a couple when they wouldn’t fit because they were larger than average eggs, but I didn’t have any problems with them. I think it’s worth experimenting with! I used this method in my IP. They turned out perfect! Peeled easy too! Yes! I’d make in the the IP for the easy peeling alone. These are by far the easiest and tastiest hard boiled eggs I have ever had. Making these weekly!! Glad to hear it, Mack! Great detailed instructions for an instant pot newbie! Thank you! That was my goal — so happy to hear I met it. Enjoy your new Instant Pot! My Instant Pot doesn’t have a manual button…it has a steam button or an egg button…will those work? Hi Kelsey! My guess is the steam button would be similar to manual. When you press that does it allow you to select high pressure and set the timer? You might try playing around with the egg button, as well, but I generally prefer to just set my timers manually for better control. I’m currently reading the comments in hopes to understand why so many recipes say to use the manual button and why my duo plus 60 doesn’t have one. My user manual doesn’t mention one either. At any rate, I used the egg button. It was 5 minutes but I changed to 6. The steam release is confusing me now. It currently has a time that says 1:20 and is increasing. I don’t get it. I’m very new to the ip world. Thank you for the very detailed recipe! On Amazon I discovered a perfect tool for cooking eggs in pressure cooker. It’s EggAssist. With this you don’t have worry about the eggs rolling around inside the pressure cooker. The egg holder can also be used as a hot pad. I absolutely felt in loved with this purchase. Thanks for the tip, Assia! I’ll have to check that out. I tried this and my eggs came out rubbery. What am I doing wrong? I’m sorry to hear that, Sandra! The more I use my Instant Pot, the more I’ve noticed that it can take a little trial and error to get a recipe just right for your pot and your location. Like I’ve recently been struggling with getting my sweet potatoes perfectly cooked through. 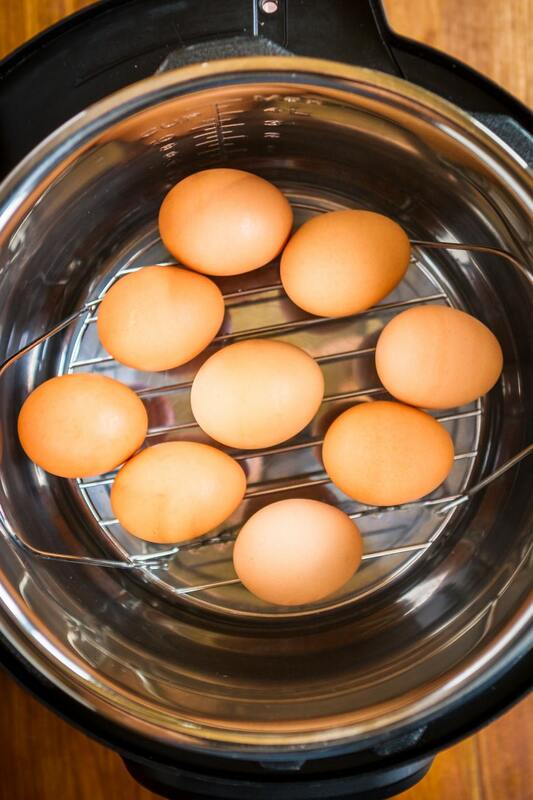 If your eggs are coming out overdone, try reducing the steaming time by 1 minute until you get the results you want. And make sure you’re releasing the pressure immediately and plunging them into the ice bath right away. I eat chicken eggs every day, thank you very much for this simple tip. 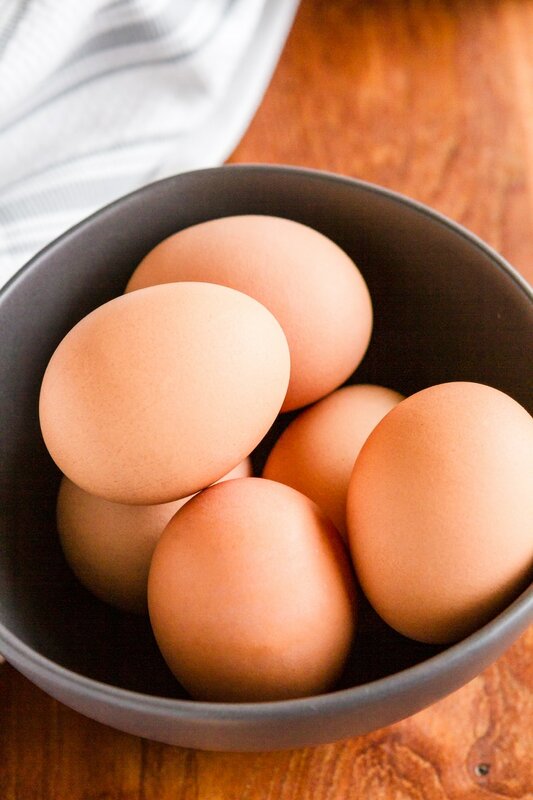 The colder your eggs are after cooking, I refridgerate mine overnight, the easier they will peel. I’ve definitely noticed this, as well. Thanks for the tip! Well I don’t have an instant pot. So now what do you recommend???? I don’t have an instant pot, but I am going to try these in my pressure cooker. I hard boil about 18 eggs a week. This would be a great time saver. Yes, you can do the same in a stovetop pressure cooker! Stovetop pressure cookers actually come to pressure more quickly and can also reach a higher PSI. The cook time should still be 6 minutes once the cooker reaches pressure, but you’ll want to keep it at low pressure. Then release the pressure manually when the cooking time is up and put the cooked eggs into an ice water bath.